Although she’s almost 60, Michelle Pfeiffer shows very few of the age related signs many other women her age do. Her complexion is still youthfully smooth and radiant. So much so that she was once voted the celebrity with the most coveted skin. Nearly one and a half decades later, she’s still got flawless skin. Over the years, she’s been asked how she keeps her skin looking so youthful and she’s always maintained that she does nothing particularly special. Although admittedly these days she’s a lot more conscious of what she puts into and onto her body. During her twenties she was a 2 pack a day smoker and drank copious amounts of Coca Cola. But a chance viewing of a clip in which Bill Clinton was talking about heart disease caught her attention. She bought the book he was talking about, and it changed her life. Based on the book she decided to remove all animal based proteins as well as wheat, sugar and oils, from her diet and now credits her good skin and excellent health to that lifestyle change. She also takes better care of her skin in general and is careful to use SPF whenever she goes out in the sun. And she can often be seen out and about without any make up on at all. Another aspect of her life that helps keep her looking young is that she and her family have made a point of reducing stress in their lives. They now live on a ranch in northern California, far away from the fish bowl that is Hollywood and LA. This gives them more time to live life at a slower pace and enjoy it. Michelle also keeps herself fit with a daily workout routine that incorporates treadmill workouts. She does the equivalent of around 4 to 6 miles running a day. 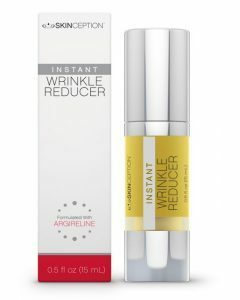 Previous post Kate Hudson’s Skin Care Habits – Does She Use The Best Wrinkle Cream?